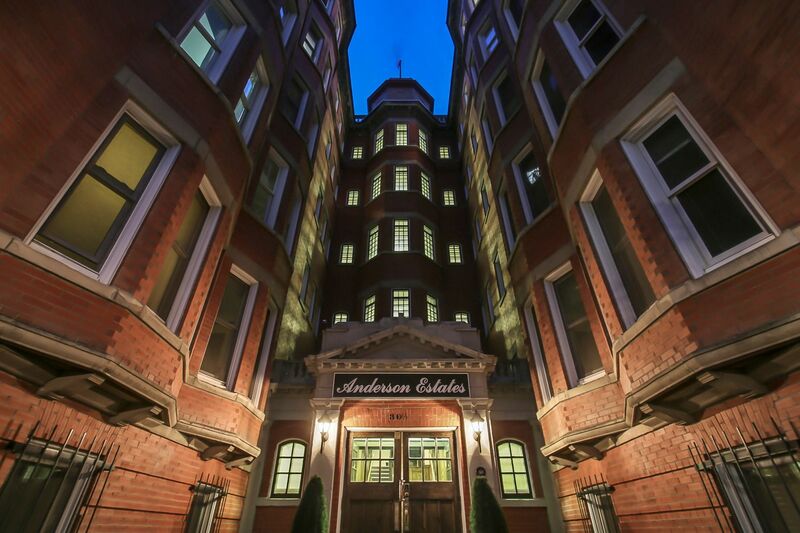 Welcome to a coveted 5th floor unit in the Anderson Estates! This west facing penthouse has been owner occupied for the last 17 years! Stunning west views, 10ft ceilings, original hardwood flooring, clawfoot tub, 6 ft, double hung windows, just to name a few features! This unit comes with 2 free passes for street parking in either "P" or 2-hour, buildings on this block have their own parking, making parking in front of the building easy. This spectacular Provincial Heritage site, greets you with old time elegance and charm beginning with the towering brick building, Italian marble stairs, terrazzo, a working brass birdcage elevator! Call your favourite Realtor to view!